Use your mobile phone as your token? Of course you can. Standard Chartered Mobile Key is a virtual security token which securely authenticates your login and transactions without the need for One-Time Passwords via SMS. Standard Chartered Mobile Key provides you with added security against online fraud and threats. Transferring funds or making payments above a pre-defined threshold, currently the value is set at RM10k for 3rd party SCB/Interbank fund transfer and RM5k for bill payment. Updating personal details, such as mailing address, contact number and email address. 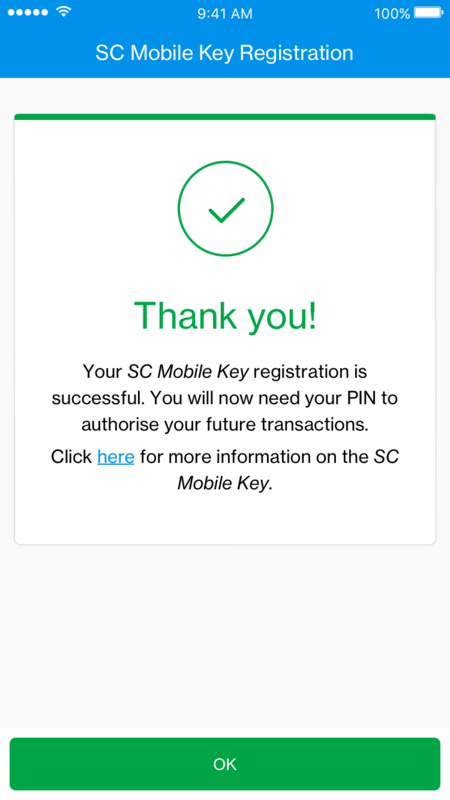 Please complete the SC Mobile Key registration to keep using your Standard Chartered Mobile application upon logging in. Please note that SC Mobile Key supplement a more secure authentication method. With the new Standard Chartered Mobile Key, your One-Time Password (OTP) SMS will be replaced. It securely authenticates your login and transactions on the Standard Chartered Mobile app, without the need for One-Time Passwords (OTP) via SMS. If you use Online Banking on your desktop, you will only need your Standard Chartered Mobile app to authenticate your login from your registered mobile device. Simply download the latest Standard Chartered Mobile app. Log in with your username and password and you will be prompted to register for the Standard Chartered Mobile Key. 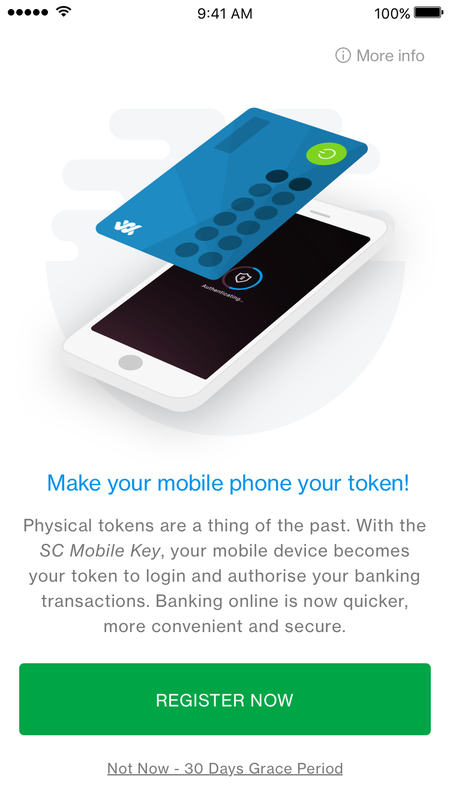 Standard Chartered Mobile Key is able to generate offline PIN even when you do not have data or mobile network connectivity. If you need to perform desktop transactions, Standard Chartered Mobile Key can work even when you do not have data or mobile network connectivity. You can still generate your OTP and do transaction signing in offline mode when you are performing online banking transactions on your computer. Log in to your Standard Chartered Mobile app and you will be prompted to register. An SMS with OTP will be sent to you. Key in your new 6 digit Standard Chartered Mobile Key Pin. Re-enter your 6-digit Standard Chartered Mobile Key Pin. 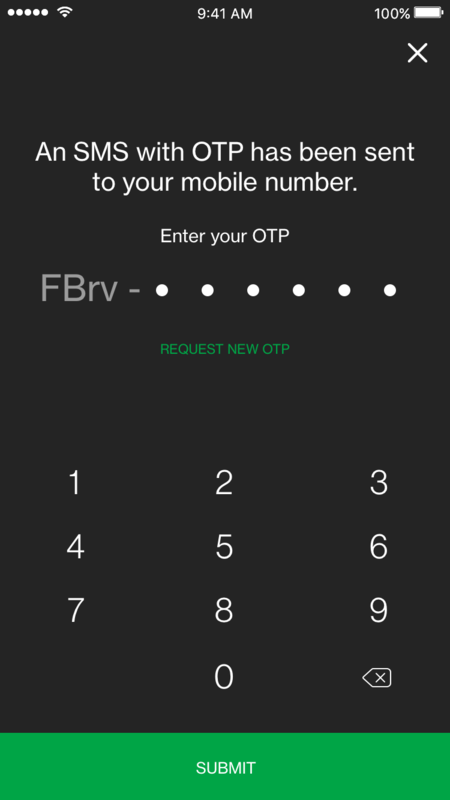 You can now use your 6-digit Pin with your mobile device to approve all future transactions. I prefer One-Time Password(OTP) SMS. Can I choose not to register for the Standard Chartered Mobile Key? Standard Chartered Mobile Key provides a more secure authentication as compared to current One-Time Password(OTP) SMS, it’s recommended to use it for all your transactions. You may choose not to register Standard Chartered Mobile Key Standard Chartered Mobile Key by performing all your transactions via Online Banking but not in Standard Chartered Mobile Application as SC Mobile Key will be made compulsory. What are the transactions/activities which require transaction signing? If I do not perform any banking activities that require transaction signing, do I need to register for the Standard Chartered Mobile Key? If you do not perform any banking activities which require transaction signing, you do not need to register for the Standard Chartered Mobile Key. However, if you wish to perform transfer/bill payment which is exceeding the defined threshold (currently set at RM10k for 3rd party SCB/Interbank fund transfer and RM5k for bill payment), you will have to use Standard Chartered Mobile Key. Will I still be able to access my account via online banking and Standard Chartered Mobile app if I do not register for the Standard Chartered Mobile Key? Yes, you will still be able to log in to Online Banking to access your accounts and perform any banking activities or transactions that do not require transaction signing but not Mobile Banking. For security reasons, you may register for the Standard Chartered Mobile Key on only one mobile device. If you register on a new mobile device, the Standard Chartered Mobile Key on your previous device will be automatically de-registered. Why do I need to set up a PIN for my Standard Chartered Mobile Key? 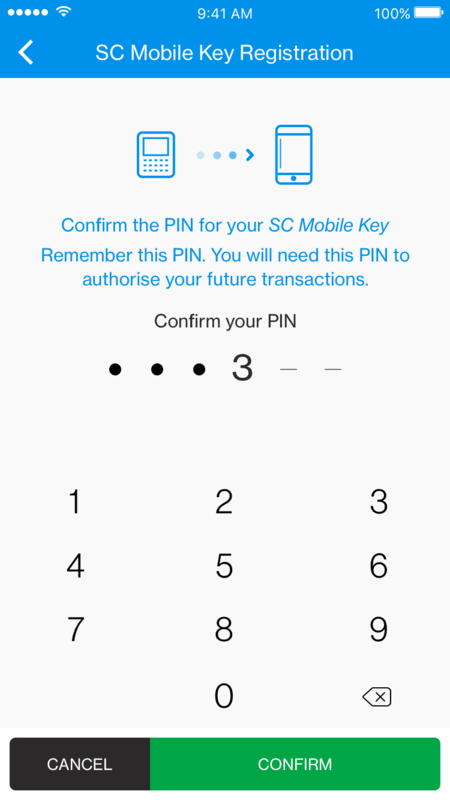 The self-created PIN provides an additional layer of security in transaction and convenience if you are using the same device registered with SC Mobile Key to perform transactions, similar to the 6 digit PIN created for your credit/debit card. What if I want to change my PIN for my Standard Chartered Mobile Key? You can change your PIN by tapping on ‘Menu’ then ‘Settings’, and selecting ‘Manage Standard Chartered Mobile Key’. If you can’t remember existing PIN, please proceed to choose forget PIN in order to reset your SC Mobile Key. What if I forget the PIN for my Standard Chartered Mobile Key? Just tap on the “Forget PIN” function when you are performing your transaction. This will allow you to reset a new PIN. I entered an incorrect PIN multiple times and now I am not able to proceed with my transaction. What should I do? In order to regain your access to SC Mobile Key, you will need to re-register by either uninstall and reinstall the SC Mobile app (where registration page will be prompted after login) or use another device to override your SC Mobile Key in your existing device. What if I am travelling and do not have Wi-Fi or data connectivity on mobile device? Standard Chartered Mobile Key can work even when you do not have Wi-Fi or data connectivity. You can still generate a PIN in offline mode from your registered device to log in or transact on a different device that has a Wi-Fi/data connectivity. Simply download the Standard Chartered Mobile app on your new device and re-register for the Standard Chartered Mobile Key. This will immediately de-register the Standard Chartered Mobile Key from the previous device which you have lost. Alternatively, you can call our 24-Hour Client Care Centre for assistance at 1300 888 888 or +603 7711 8888 if you are at overseas.